Plumbing emergencies are never ideal. When a pipe bursts, you may experience flooding to a degree that requires immediate attention. Even a small leak can be a major annoyance and may cost you extra on your utilities. A drain clog is not only an inconvenience; it can also cause waste to backup into the drains in your home. Take preventive steps to protect your plumbing system today. Call a plumber at the first sign of trouble, and try taking any of the following steps to protect you from the cost of plumbing repair. Speak with the friendly professionals at Red Rock Mechanical for more information. Pay attention to what goes down the disposal. Your garbage disposal helps make your work in the kitchen go a little more smoothly, but it should not be treated as a catch-all for whatever waste you need to get rid of. Of course, this includes non-food items, like cigarette butts, paper, and plastic wrappers. But you should also avoid hard food items like shellfish, bones from meat, and unpopped popcorn kernels. Fats, oils, and grease belong in a separate trash container, and be sure to rip large pieces of food into smaller bits. Purchase a drain trap. In the bathroom especially, hair is a major source of clogging. Keep your locks from clogging the drains by purchasing a simple drain trap from a hardware store and cleaning it out daily. Look for signs of leaks. Learning to spot the signs of plumbing leaks is the best way to schedule repairs in a timely manner, potentially saving you money and protecting you from a big mess later on. Look for any sudden drops in water pressure, water spots on the walls, or pooling water in the yard. Call a plumber at the first sign of trouble. Don’t delay plumbing repair as a small leak can always develop into something much worse. Schedule regular plumbing maintenance. 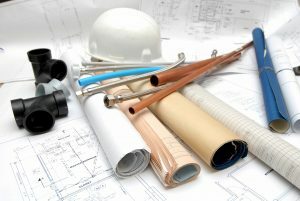 Finally, schedule annual plumbing maintenance with a trained specialist. 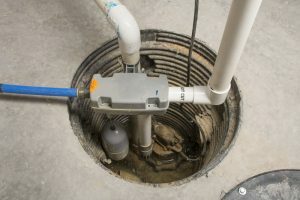 A plumber will look at every portion of your plumbing system, from the water heater to the drain pipes, cleaning and adjusting some parts and recommending services that may help further prolong their lifespans. Call Red Rock Mechanical today for professional plumbing maintenance, repair, and advice from professionals you can trust in Montpelier, VT.